You are about to embark on one of the most amazing and rewarding experiences that can ever come from spending money buying a home. If you are buying a home in 2019, you should know that the entire process is not quick, but when all is said and done, there are few things more exhilarating than buying a house. This guide will help equip you with what you need to buy a house this year. Though you can easily implement steps to help your credit score, fixing or raising a credit score doesn’t happen overnight. It’s imperative to start now so when you go to apply for a home loan your credit score will (hopefully) be where you want it. Here are three tips to help improve your credit score, and recommended by John Heath, Directing Attorney at Lexington Law. Obtain and Closely Review Your Free Credit Report: In order to improve your credit score, you first need to know what information is on your credit report. The Fair Credit Reporting Act (FCRA) gives you the option to obtain a free credit report from each of the three nationwide consumer reporting companies once every twelve months. Your credit report contains information including your current and past residences, how you pay your bills, bankruptcies, foreclosures and more. Obtaining and understanding the information on your credit report will help you know what you may need to address in order to improve your credit score. Use a Credit Report Repair Company to Dispute Errors: Your credit history is 35 percent of your FICO score, and according to a 2013 study by the Federal Trade Commission (FTC), more than 40 million Americans have something that is incorrect on their credit report. While a late payment or derogatory mark from a creditor may seem harmless, it can have long-standing consequences, in some instances staying on your report for seven years. If you have errors on your credit report, consider working with a credit repair company, who can navigate the complexities of credit repair, contact the credit bureaus on your behalf and help remove any errors as quickly as possible. Spread Credit Card Debt Across Multiple Cards: If any of your credit cards are close to the maximum utilization point, it will be a red flag to lenders, who see this as an indication that you could be having financial issues. If you have multiple cards, spreading the balance out between them could make sense. For example, instead of having one card that is 90 percent maxed out while two other cards have a zero balance, having a 30 percent balance on each card can help your credit score. Reducing overall debt is always the best option, but spreading out your balance can have a positive impact. The best way to determine how much house you can afford is to simply use an affordability calculator. Though calculators such as these do not necessarily account for all of your monthly expenditures, they certainly are a great tool for understanding your larger financial situation. After you figure out what you can comfortably afford, you can then start online window shopping for houses and really begin to narrow down what you want in a house versus what you can afford. Are you looking at specific neighborhoods? How many bedrooms do you want? Do you need a large yard, big deck, swimming pool, man cave, she shed, etc? Unless you want to pay Private Mortgage Insurance (PMI), you really want to save up for a down payment. PMI is an added insurance charged by mortgage lenders in order to protect themselves in case you default on your loan payments. The biggest problem with PMIs for homeowners is that they usually cost you hundreds of dollars each month. Money that is not going against the principal of your mortgage. Lenders like to see a healthy savings account and other investments or assets (i.e. 401k, CDs, after-tax investments) that you can tap into during hard times. What they really want to see is that you are not living paycheck to paycheck. A healthy savings account and other investments are a good idea in general as it will help you establish your future financial independence, but it is also a necessary item on your checklist of what you need to buy a house in 2019. So what is a healthy debt-to-income ratio when applying for a home loan? The short answer is the lower the better, but definitely, no more than 43% or you may not even qualify for a loan at all. There are two DTIs to consider as well. The absolute worst thing you can do is max out one of your credit cards, even if the limit on the card is low. If you do, your credit score may plummet. Try tackling your credit cards by paying on the ones with the highest interest rate first, then as one gets paid off, focus on the next card until you’re free and clear. If you haven’t gotten the picture yet, lenders like consistency, including your employment history. Lenders like to see a borrower with the same employer for about two years. What if you have a job with an irregular or inconsistent pay schedule? People with jobs such as contract positions, who are self-employed, or have irregular work schedules can still qualify for a home loan. A mortgage known as a bank statement mortgage is becoming rapidly popular with lenders as more self-employed or what has been referred to as the ‘gig economy’ has taken off. The difference between these two types of mortgage rates really lies within their names. A fixed rate loan is exactly that, an interest rate that will never change the moment it’s locked in. You will pay the same amount the very first month you pay your home loan and will continue to pay that same exact amount over the course of thirty years (or however long the loan term is). It is important to know what interests rates are doing. The big question is are they on the rise or are they falling? When the economy is good the Federal Reserve typically raises the interest rate in an effort to slow down economic growth in order to control inflation and rising costs. When the economy is in the dumps the Fed does the exact opposite. They lower the interest rate in order to entice more people to make larger purchases that require loans (i.e. land, cars, and houses) to help stimulate the economy. Why are small hikes in interest rates so important to you? To put it into perspective, even a one percent increase in your interest rate on a home loan is the difference of paying or saving tens of thousand of dollars in interest payments on your home loan over time. The home buying process from start to finish is time-consuming and very relative to individual circumstances and the housing market in your area. However, there are some general universal constants that you can expect, such as a cash offer on a house is usually much quicker than a traditional loan, and if there is a perfect house in a good neighborhood and at a great price, you better expect competition and added time for a seller to review offers. There are a few things to keep in mind when researching a mortgage lendor. The first thing that comes to most people’s’ minds is what mortgage rate can they get. You may have to shop around to find the best rate because lower the rate the more money you save. Ask the lender what their average length of time is to close on a house after the offer has been accepted? A good lender versus a bad one can be the difference of moving into your new home two to four weeks earlier. You want to find out how streamlined their processes are. When being approved by a mortgage lendor you should be aware that there is a small but relevant difference between the typical fast preapproval for a home loan versus an underwritten pre-approval. There are many variables to think about when researching your future residence. The key to beginning your research is to determine those variables most important to you. Are you looking for a good school district, a large house, convenience to commuter options, or a specific neighborhood that is extremely friendly? Now that you know where you want to live and you’re pre-approved, the fun begins. You get to look at houses! Once you find the house you know would be a great fit for you and your family, you’ll want to make an offer. There are numerous variables to consider and hopefully, your knowledgeable real estate agent will help you through this process. Understanding the current market conditions how houses have been selling in the neighborhood and at what price (above or below asking), and knowing if there are other competing offers will help you assess and determine how you’d like to make an offer. Congratulations are in order! The sellers have accepted your offer. Now you want to get the home inspected to make sure there are no underlying issues that could cost you money down the road, such as a bad roof or foundation. 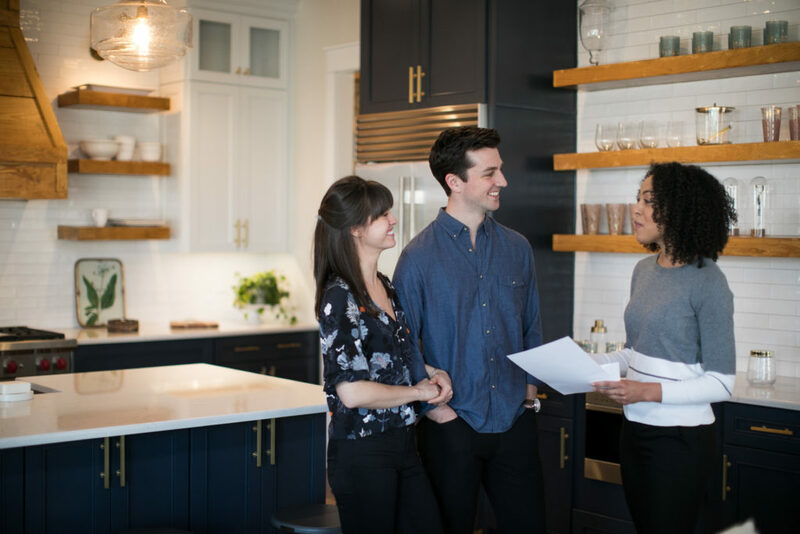 Usually, a home inspection is a contingency built into the initial offer, and your real estate agent can help you set this up. However, it is recommended to hire an inspector that is certified by a national organization (such as ASHI or Inter-NACHI). Though you can waive this contingency if you’re trying to make your offer more competitive in a hot market. Just be aware that if you do waive a home inspection contingency, you may be taking on considerable risk. There are several types of home inspections, but in general, a typical home inspection involves a certified inspector that will go in, around, under, and top of your house looking for anything that could be of concern, such as structural or mechanical issues. The inspector would also look for safety issues related to the property. Though they will go into crawl spaces and attics as part of their inspection, they will not open walls. They will inspect the plumbing and electrical systems and should point out any defect in the property that could cost money down the road for the homeowner. Home appraisals are an important part of the process because oftentimes house prices can quickly skyrocket when the housing market is hot, and banks do not like to loan out more money than what a home is worth. A home appraiser will not only tell you what the home is actually worth for the area and for the current housing market, but this appraisal will also directly affect the size of loan the bank will give you. If the home appraisal comes back and states that the house is worth $300,000, but you made an offer of $310,000, the bank will most likely only lend you $300k. You will then either be stuck with paying the additional $10k out of pocket, or you may try to renegotiate the price with the sellers to see if they would be willing to come down. Or you may lose the house altogether. Congratulations, you’re a homeowner! Your real estate agent should help you map out the last details, such as when and where you should sign all the papers to take ownership of the house and, of course, the handing over of the keys. Welcome to your new home. Copyright © 2018 Lake Anna Island Realty. All rights reserved. Designed by Blue Creek Technology, Inc.
Want to know as soon as a new listing becomes available?